Grace your bridal ensemble with a gorgeous Alençon lace veil. 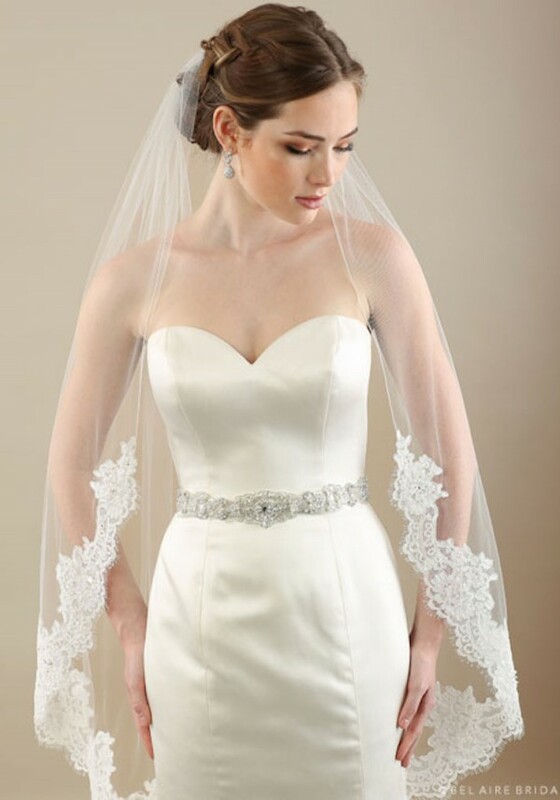 Generous, scalloped lace on a 1-tier knee length rolled edge veil enhances your look with classic beauty. Complement a lace gown with this stunningly feminine, utterly romantic style. Available in blush/ivory, champagne/ivory, diamond white, ivory, and white.